You have probably never heard of M.W. 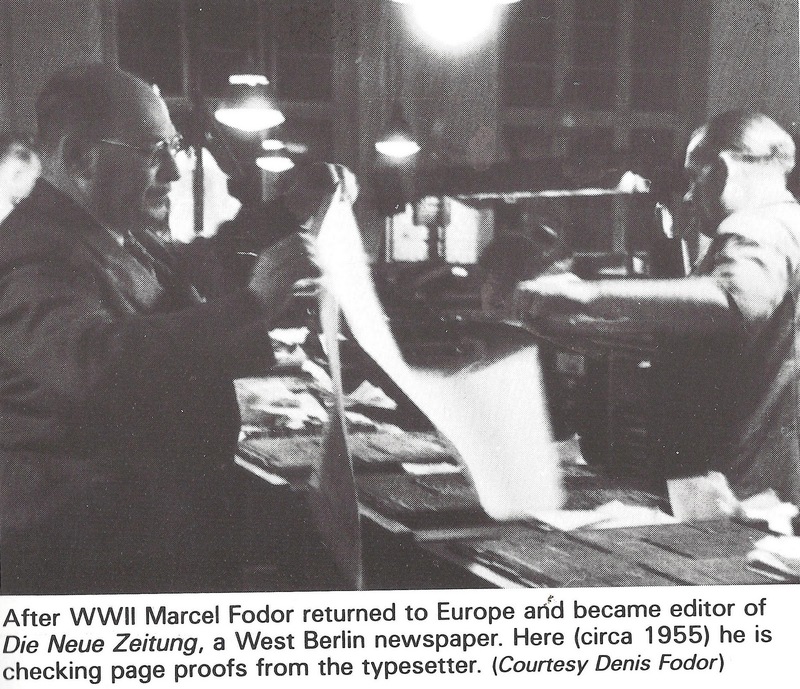 Fodor, a foreign correspondent in Vienna from about 1919 until the Anschluss in 1938, who wrote for the Manchester Guardian and several papers in the United States. Until about three years ago, I certainly did not know who he was. I found out about him in a roundabout way. One day in 2008, I remembered that in late 1968 I had sent a letter to Sen. J.W. Fulbright about my experiences in Vienna. In 1967 I had received the J.W. Fulbright Scholarship for Undergraduate Studies to attend the Institute of European Studies (IES) in Vienna, and I wanted to show my appreciation with the letter. 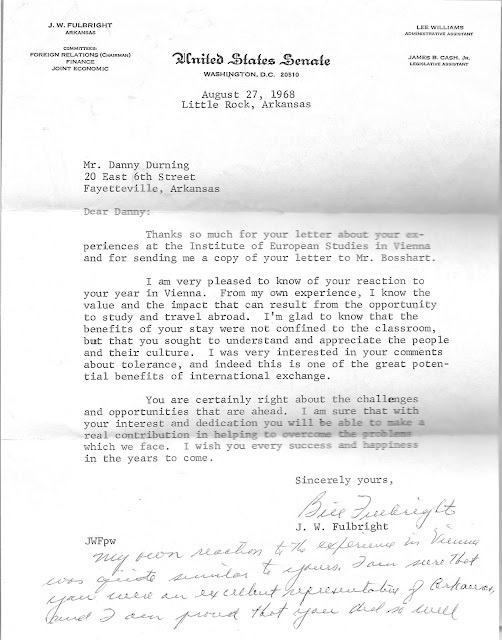 Of course, Fulbright had neither funded the scholarship nor selected its recipient, but it was created for one student in Arkansas in his honor after he had traveled to Vienna in 1965 for an honorary doctorate, and while there, had met with IES students. Recalling that letter, it struck me that it would be interesting to know what Fulbright did while he was in Vienna. So, I consulted four of his biographies, which gave a similar account of his stay there from late summer 1928 to early summer 1929. His biographers told how he had had hung out at the Café Louve, a cafe frequented by American and British journalists, and had made friends with a journalist by the name of M.W. Fodor, a Hungarian, who then was a correspondent for the Philadelphia Public Ledger, the New York Evening Post, and, I think, the Manchester Guardian. According to the biographies, Fodor had invited Fulbright to make a trip with him through the Balkan states in Spring 1929 to interview diplomats and government leaders, and they had made the trip, getting to Athens, where Fulbright fell ill and had to break off the trip to return to Arkansas. Then, the story continues that Fulbright and Fodor frequently corresponded during the 1940s and 1950s. Picture from Ken Cuthbertson. 1992. Reading Fulbright's biographies and the Grünzweig paper, I began to wonder who this Fodor person was. On-line searches yielded some bibliographical information, but little about him and his life. Since Fodor's death in 1977, this once well-known journalist has faded from sight and his accomplishments are largely unremembered. For example, Fodor still does not have a Wikipedia entry. Intrigued, I decided to do some research on M. W. Fodor to see what I could learn about him. And I have spent many hours during the past three years accumulating information about him, his life, and his times. First, to learn more about Fodor, I read his two main books, Plot and Counter-Plot in Central Europe (1938) [also published in a slightly revised version as South of Hitler] and The Revolution is On (1940). Then I tracked down most of the magazine articles that he wrote for magazines such as Nation, Atlantic, and The New Republic. After that, I found dozens of his newspaper articles that he had written for the Washington Post in the years immediately following the end of WWII. I am still searching for some of the more elusive of his published articles. One of the first things I learned about Fodor is that he kept very interesting company and had some famous friends. Two of them were particularly important in the first half of his life: Dorothy Thompson and John Gunther. Fodor was a mentor to both Thompson, a journalistic dynamo, and Gunther, an exuberant, ambitious man, who clearly greatly admired Fodor. Both Thompson and Gunther were immensely successful journalists, and Fodor shows up prominently in their biographies. 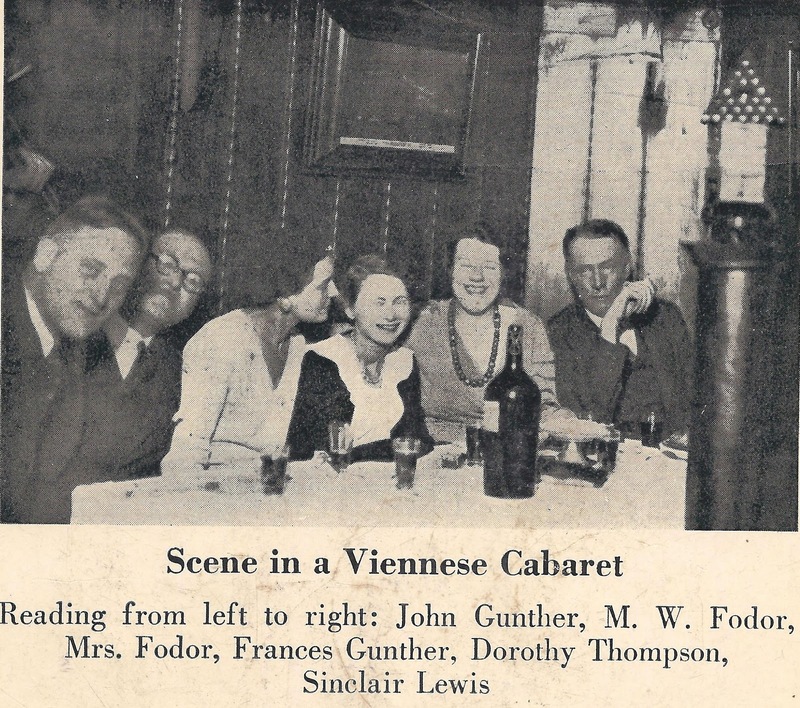 Also, Fodor and his wife are sympathetic characters in Gunther's roman à clef (about British and American reporters in Vienna in the first part of the 1930s). In the novel, Fodor is a journalist named "Sandor." Another of Fodor's friends was William Shirer, who seems in his many books to be a self-absorbed man. 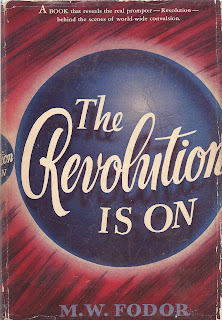 Of course Shirer's fame came primarily from two books: Berlin Diary, mostly about his reporting from Berlin in the '30s and the massive Rise and Fall of the Third Reich. 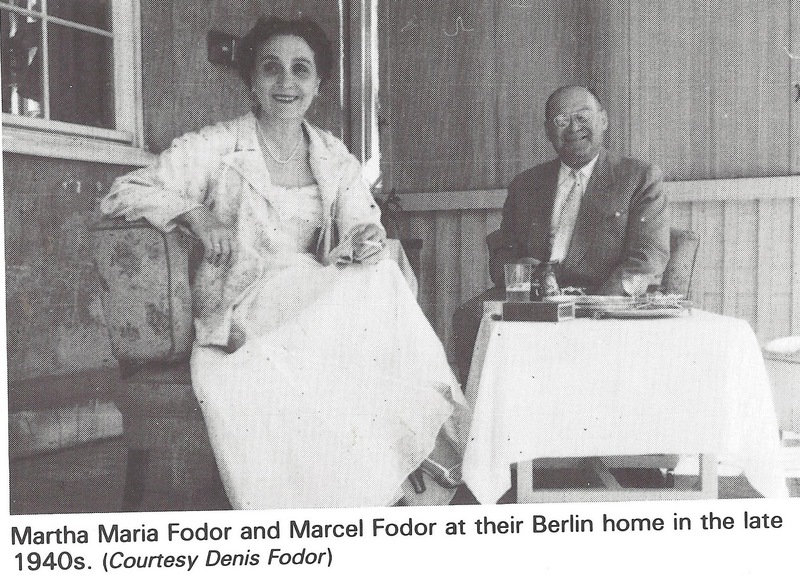 From his many autobiographical books, it is clear that he considered Fodor to be a friend, and he gives the best account of what was happening to Fodor and his family in Vienna in March 1938 just before the arrival of German troops in Vienna. However, Shirer was confusing when giving some details about Fodor. He wrote the Fodor was Jewish, but from all other accounts he was a practicing Quaker when in Vienna. Also, he refers to Fodor's wife as "the beautiful Slovak," but better sources say she was from Hungary. Other friends and acquaintances included Vincent (Jimmy) Sheean and G.E.R. Gedye, both fabulous writers who were colleagues at times of Fodor, but were not close to him. He appears briefly in one or more of their books. Also, Friedrich Scheu, an Austrian who wrote for a British paper in the 1930s and seemed to know Fodor fairly well. In their books, these journalists provided more information about Fodor and his work and life in Vienna. In addition to them, Fodor appears briefly in the memoirs of at least a dozen other journalists or political figures who were in Vienna in the 1930s. Without exception, Fodor is presented as the man who knows the most about what is going on in Central Europe and the Balkans and is willing to share his information. While it is possible to get a good sense of Fodor and his life from about 1920 to 1940, information on the later years is sparser. We know from the Thompson and Gunther biographies about what happened soon after his arrival in the United States and how he made a living while here. Also, we can find newspaper articles about him speaking in different cities throughout the country. But, details are missing. For example, Fodor's entry in the Hungarians in America, 1963, says that he studied at Olivet College in Michigan in 1942 and that he received an "Hon. LL.B Sheffield, England." However, I found nothing that corroborates this information or provides details. The University of Sheffield law school, which I contacted, says it have no record of awarding such a degree to Fodor, so it may be from another college in the area. Part of the problem is that Fodor's books and articles have very little autobiographical information, and little that he wrote after 1947 is easily obtained. 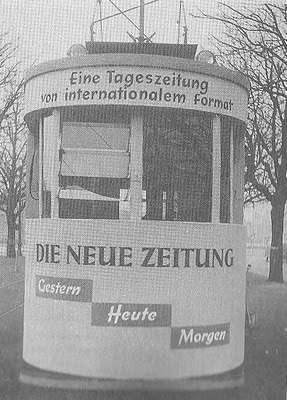 After becoming editor of the Berlin edition of Die Neue Zeitung, he wrote -- I am sure -- editorials and other materials for the paper, but copies of the newspaper are in just a few archives in the U.S. and Germany. Fortunately, some biographical material is available through his private correspondence with J. William Fulbright. Sen. Fulbright was among the famous people Fodor knew, the two reconnected in 1940 when Fodor came to the University of Arkansas to give a public lecture. Fulbright was then president of the UA and introduced Fodor to the assembly. 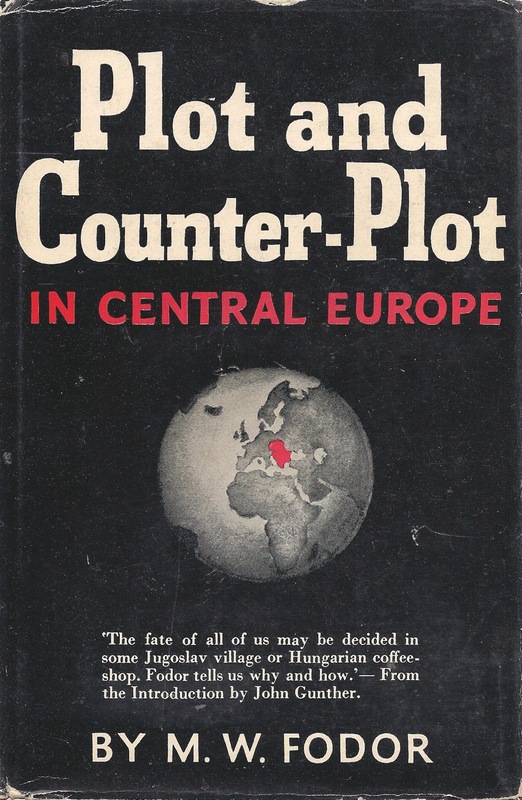 Then, later in the 1940s, when Fodor had taken on a new job with the U.S. occupation forces in Germany, he began sending Fulbright information, insights, and views of events in Germany, Central Europe, the Soviet Union, and other world hot spots. From 1948 to 1957, he sent 65 to 70 memos, plus about 100 letters (some with information, some with personal communications) to Fulbright. It is clear that Fulbright valued these memos and letters -- he sent copies of many of them to colleagues and to the CIA -- and had high regard for Fodor. 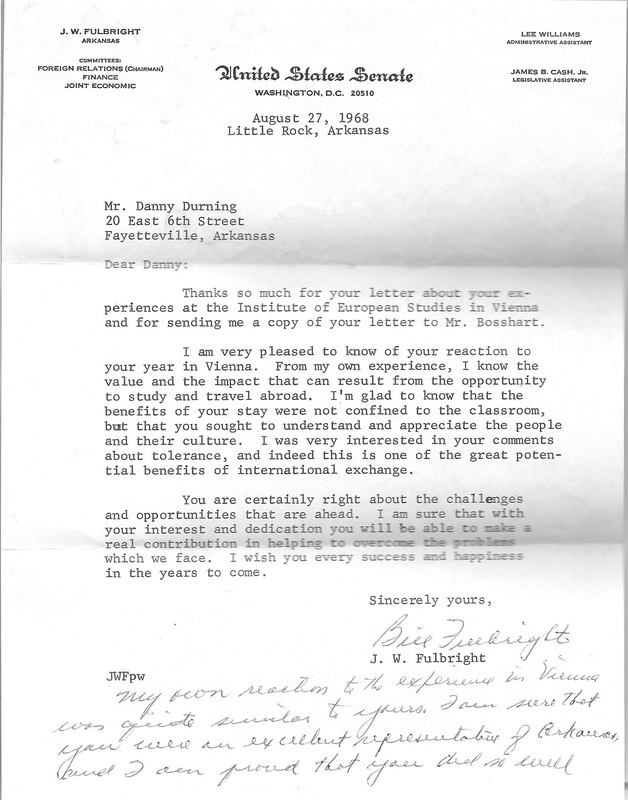 The letters exchanged by Fulbright and Fodor, plus his memos, are in the J. William Fulbright Papers at the University of Arkansas Special Collections Library. From the memos and letters, we can track where Fodor was living and what he was doing from 1948 to 1957. Reading Fodor's memo and letters showed the vast extent and reach of his knowledge of world events, and the people making them. Also it showed that by 1948, Fodor had become a staunch anti-communist crusader, something not wholly compatible with his liberal views and outlook in Vienna. 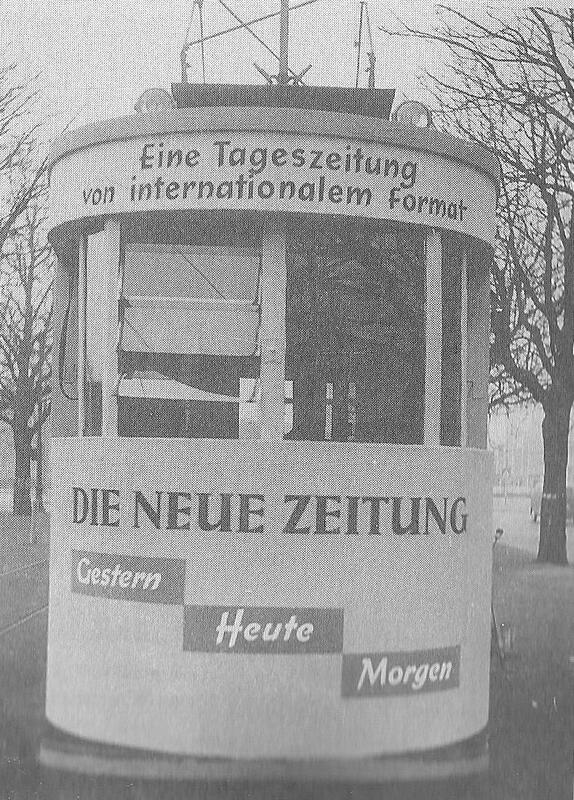 The war and its aftermath changed people; for example, compare Shirer's Berlin Diary, written before the war, with his book, End of a Berlin Diary, published in 1947, which has a nasty, revenge-laden tone. Clearly, the war and its aftermath had affected Shirer, and it affected Fodor. Fodor's memos to Fulbright stopped in 1958 when Fodor and his wife, Martha, moved back to the United States, where he worked for the United States Information Agency (USIA) in Washington D.C. Martha died shortly after their return, in January 1959. Fulbright and Fodor exchanged a few letters after that about personal matters. In 1961, President Kennedy appointed Edward R. Murrow, the famous journalist, to head the USIA. 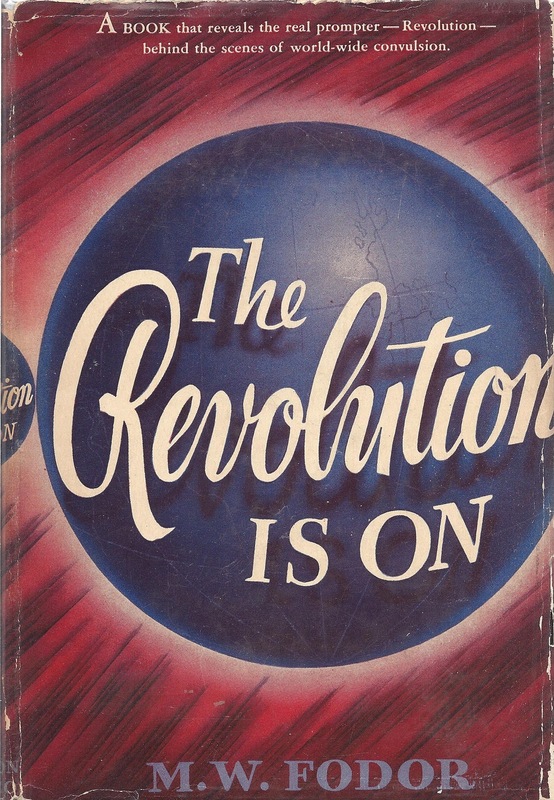 In Fall, 1953, Murrow had filmed a "See It Now" program in Berlin; during it, he interviewed Fodor, calling him "one of the greatest reporters I have ever known." I read somewhere that Murrow appointed Fodor to an important USIA post, but have found no confirmation of that. Fodor retired in 1964, and lived until 1977. I do not claim to have gained great insight into M.W. Fodor, but have formed some impressions about him. For example, I think that although Fodor lacked the flamboyance of Thompson, the ego of Shirer, the grand vision of Gunther, and the powerful prose of Sheean and Gedyes, he had one gift that made him their equal: an amazing memory that helped him accumulate knowledge about his subjects that far surpassed the knowledge that others had. Also,while some of his famous journalist friends wrote from the heart, some to make money, and others because they were born reporters who had to tell their stories, it seems to me that Fodor wrote because he found out things, and made connections between them, and wanted people to know about them. The good news for me when searching Fodor was that the subject of this research was, from all the accounts, a very likable man: Quiet, unassuming, a bit shy, generous, a good friend. Fodor was widely praised for his generosity and collegiality. And he led a most interesting life, meeting some of the leading political and diplomatic figures of his day. Finally, after three years of accumulating a huge amount of material on Fodor, I have written a short biographical sketch of him. In writing it, the goal was to boil down the massive amount of information I have accumulated to the basic facts about his life, and to fill it in with a little of texture. The biographical sketch is much like a slightly long encyclopedia entry. Much more could and should be written about Fodor's life, simply because it was so interesting and varied. Hopefully, the biographical sketch can be expanded over time to capture more details of his work as a correspondent in Vienna and as the editor of Die Neue Zeitung in Berlin. My research has many gaps. I found little about his ancestors, parents, and early life in Budapest. Many details are fuzzy: where exactly did he study engineering? Where did he work in England? What really happened in England during WWI? What was he doing from 1958 until his retirement in 1964? At present, another researcher -- a graduate student in Budapest -- is starting research on Fodor, and perhaps she will be able to answer these and other questions. No doubt that her work add much more information about Fodor's life and times, and will allow a more complete story to be told.. If you read the biographical sketch and find mistakes and omissions, please let me know. I intend to update it as I get more information. I have not read the book, but will now that you ask this question. I am curious in how she portrayed "V". I do know that Fodor is a major character in John Gunther's book, "The Lost City," which takes place in Vienna from 1930 to 1934. Of course, Gunther and his wife are major characters and other members of the Anglo-American foreign correspondent community (e.g., Bob Best, William Shirer) show up. I have figure out most, but not all, of the major characters.